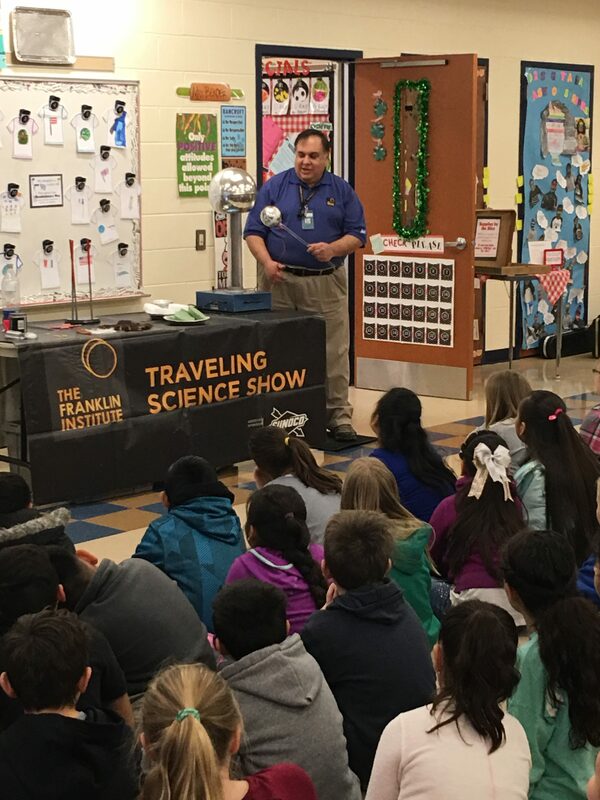 Bancroft Elementary School’s fourth grade had a special visit from The Franklin Institute. 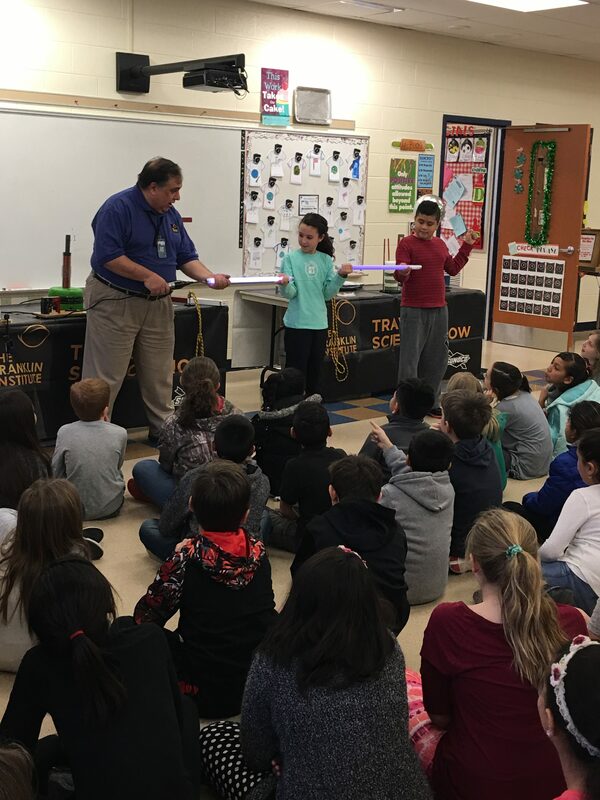 This interactive field trip allowed the students to learn about electricity, circuits, and magnetism by participating in different experiments. 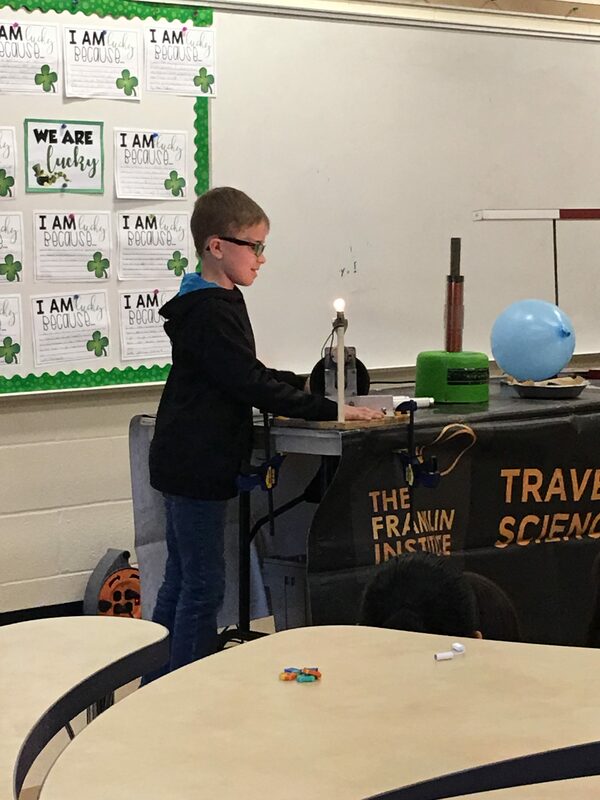 Their hair was standing straight up as they explored static and current electricity! 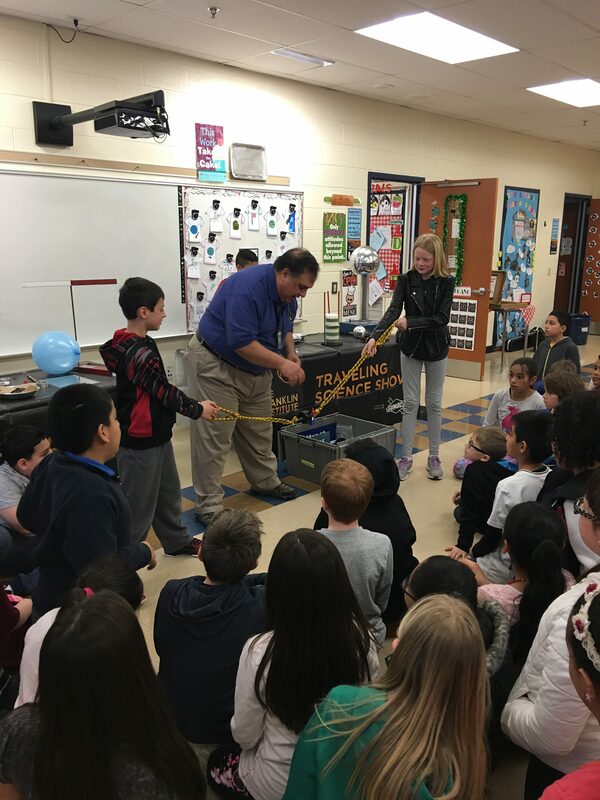 The students also created a HUMAN CIRCUIT, showing how electricity flows. 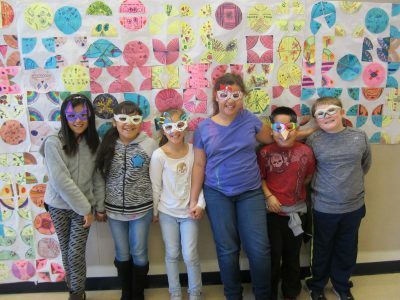 Bancroft Elementary School students and staff celebrate Youth Art Month in March by wearing primary colors on the first day, participating in Art Counts Contest the second day, wearing the most artistic shirt on the third day, and finally wearing student decorated sunglasses on the final day. Yes, Bancroft Elementary School is an extremely artistic school! Third grade students in their beautiful sunglasses! 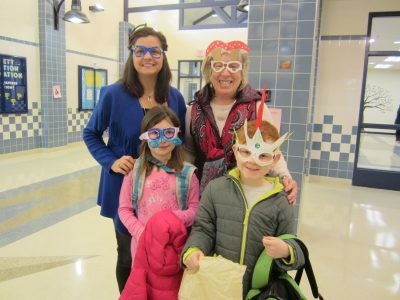 Principal Mrs. McComsey and Art Teacher Mrs. Finn pose with students wearing their creative sunglasses! Students in their amazing sunglasses! 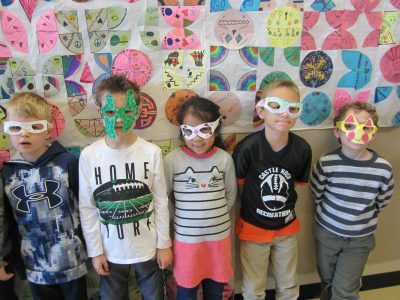 First grade students in their artistic sunglasses! 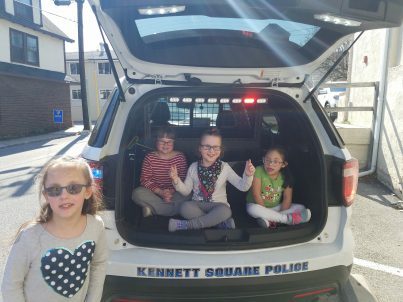 After a week of reading about community helpers, Mrs. Sara Simasek’s class took a community outing to the Kennett Square Police Station. Before the trip, students read about police officers. 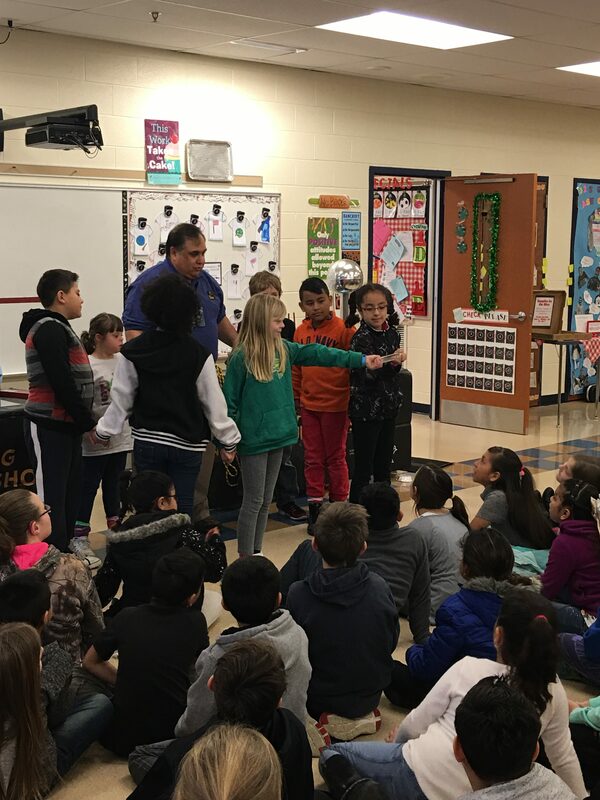 They learned new vocabulary words including “uniform” and “protect.” Based on their reading, the students generated questions to ask the officers. 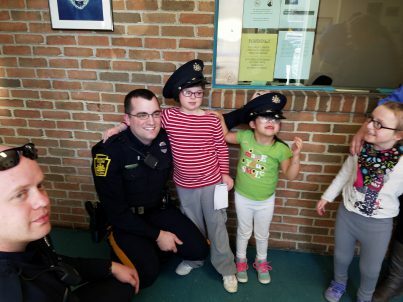 At the station, the students learned many facts including that police officers are helpers in the Kennett Square community, they wear dark blue uniforms with hats, they do not have police dogs, and their cars have flashing lights. 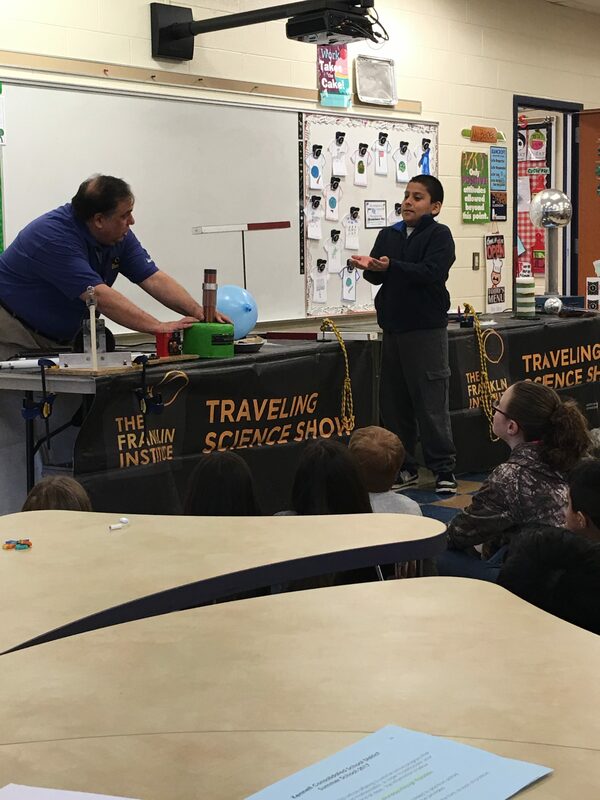 It was an informative and fun trip! 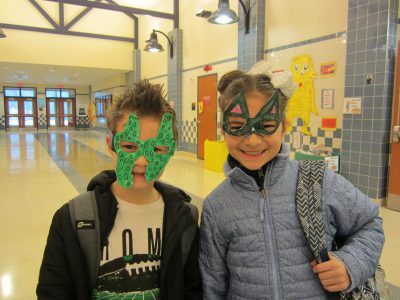 Please click on the calendar link below to see all important events happening at Bancroft Elementary this month. 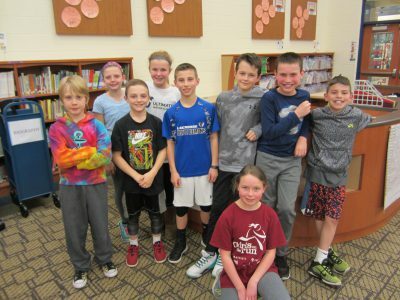 Fifth grade Bancroft Elementary School students have formed three teams to compete in the Chester County Reading Olympics on May 25, 2017. 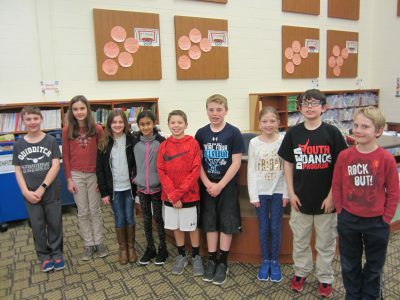 The students have been reading, taking Accelerated Reader quizzes, and practicing every Tuesday after school with Mr. David Livergood, the school’s library media specialist and Reading Olympic coordinator. 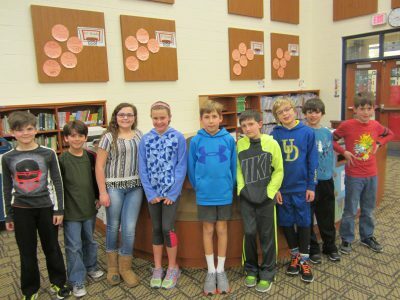 Student teams have been reading 45 books of different genres in order to compete at the county level in May. So far, two students have already read all 45 books! Let’s cheer our teams on to victory. 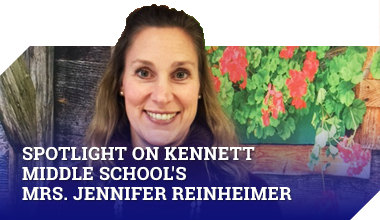 For the past five years, Bancroft Elementary School’s teams have all come home with blue ribbons – the highest award at the competition.